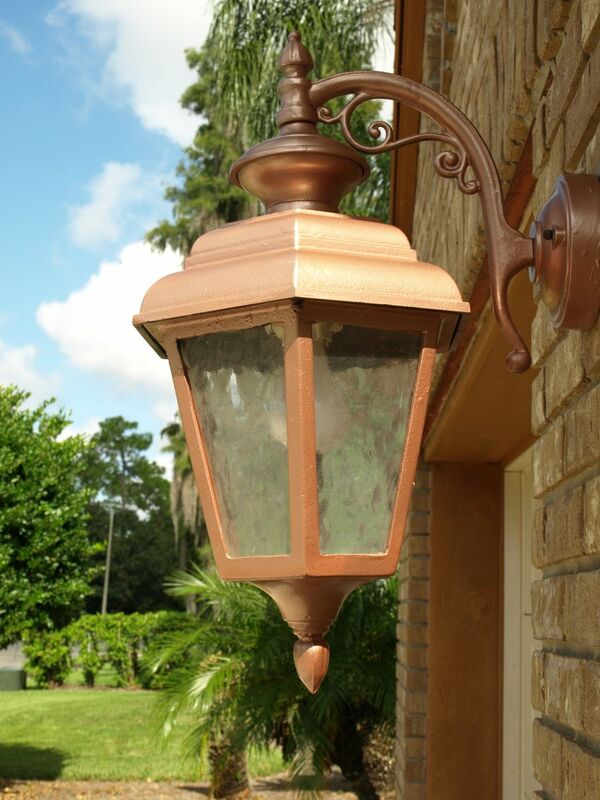 Exterior lighting options to brighten your landscape. When most of us think about the lighting in our homes, we think about interior fixtures – chandeliers, recessed lighting, table lamps, standing lamps, and all the rest. That’s natural because we tend to use the interior the most. However, there is another part of the home that needs lighting as well. Outdoor lighting for the exterior of the home can do any number of things, from providing better light for entry and exit to providing beautiful accents at dusk and nighttime to letting you transform an outdoor area for a large gathering. Like all other aspects of your home, there’s a lot to know about choosing outdoor lighting, though. In this guide, we’ll look at several of the most important considerations to make here. 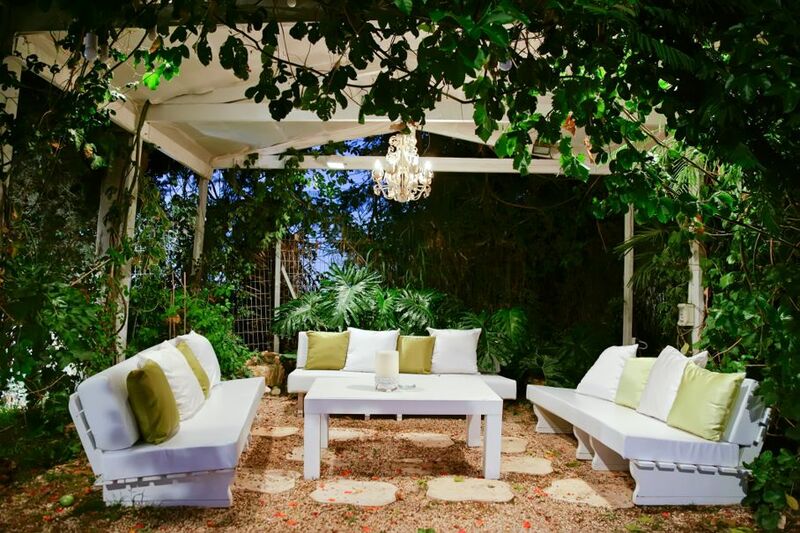 Yes, outdoor light fixtures can (and often should) be larger than those used indoors. You have the space, so use them. However, don’t go too big. This is particularly true when using a pair of lights to flank a doorway. In most instances, you only want to go about a quarter of the size of the doorway. That being said, if you’re using just one fixture, you can go larger, up to about a third of the doorway’s size. It’s actually better, though, to go too big than too small, as a tiny light fixture will look overwhelmed and won’t provide the light you need to actually use your outdoor space. 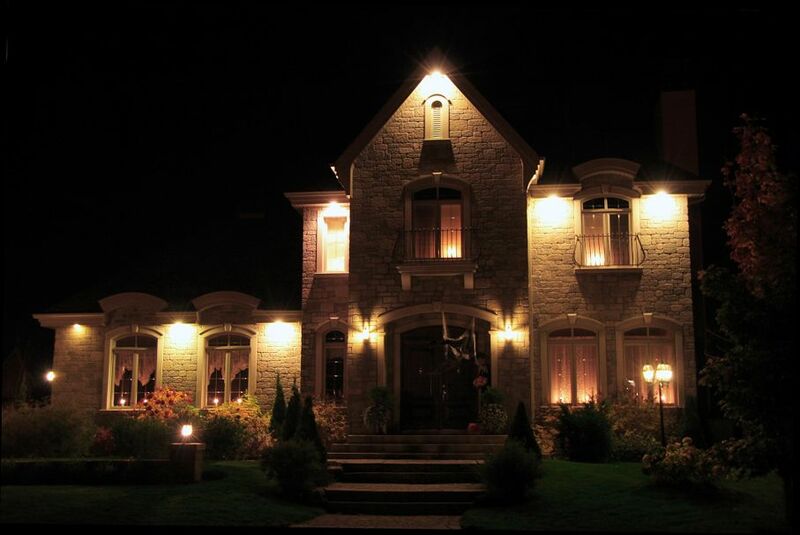 Follow the same rules regarding exterior lighting as you do with interior lighting. Indoors, you wouldn’t choose a fixture that clashed with the color of the walls or the design elements throughout the room. The same concept applies to your outdoor fixtures. Go with a color that complements the exterior of your home, as well as the area in which it’s being installed. Bronze is an excellent option with earth tones, while cast iron fits an even wider range of options. Have you got a roofed outdoor area that you use frequently? Maybe it’s a small seating area on your porch or an area that really needs more light? In an instance like this, wall-mounted lights can be augmented and accented with a chandelier. Avoid the delicate designs often used indoors, though. You need brawn and sturdy construction for the outdoors. 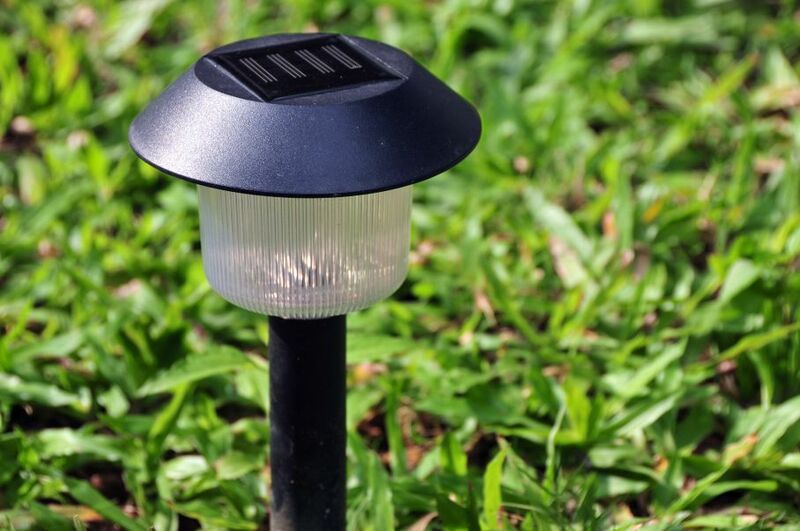 Incandescent and fluorescent bulbs can often be brighter, but there are many reasons to consider LED lights for your outdoor spaces. First, they consume just a fraction of the energy of other bulb types. Second, they’re incredibly long lasting, and you might never have to replace them. Third, there are new types on the market that offer about the same illumination as traditional bulbs. Fourth – LED and CFL bulbs don’t deliver that “death sun” type of light that makes human skin look greenish. It’s crucial that you choose a style of fixture that will complement the style of your home. If you have a Cape Cod, mission style fixtures won’t look right. If you have an English-style bungalow, carriage style lights might be too much. Once you’ve decided on a style, then you can consider things like size and color. You’d think that all lights designed for use outdoors would offer good durability, but that’s not the case. Some are designed for use where there is no chance of precipitation getting on them. Others are designed to be completely weatherproof. Choose an option that offers the durability needed for the area in which you intend to install the light. Most of us automatically gravitate towards clear glass for our outdoor fixtures. That’s normal, but there are plenty of reasons to consider frosted glass, instead. 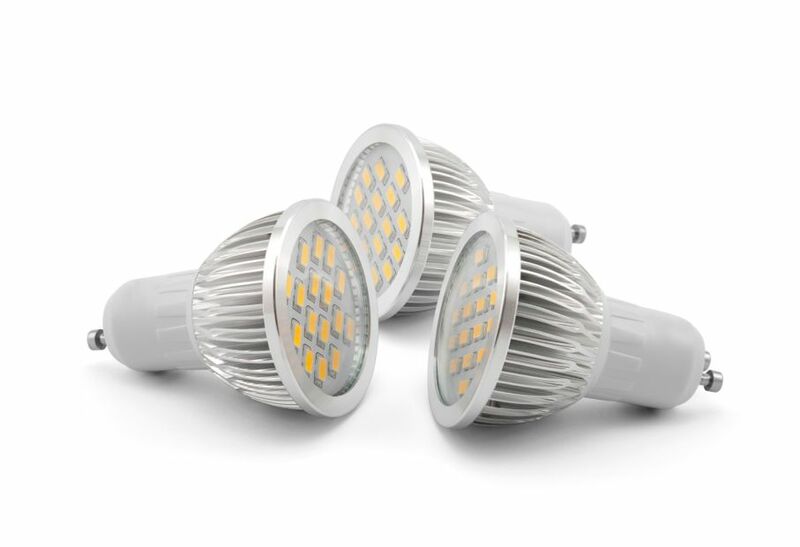 First, they can amplify light, so you can use a lower-wattage bulb and save energy. Second, they don’t need to be cleaned as often, as the frosting effect can hide dust. Third, they reduce glare considerably. 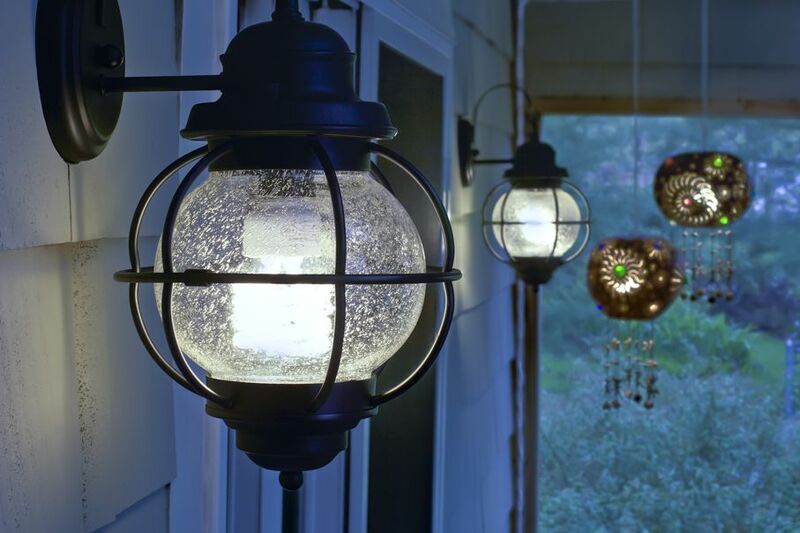 Most outdoor lighting is for utilitarian purposes like getting in the front door safely or for decorative needs (adding a touch of life, for instance). 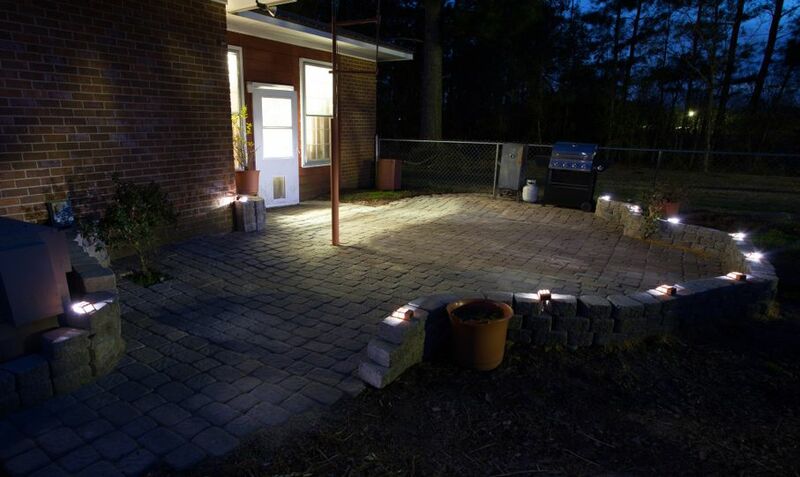 However, many outdoor areas see actual use after dark, so make sure you’re choosing a wattage that fits your unique needs. If you’re going for decorative, a lower wattage bulb is better. If you’ll be using the space after the sun sets, though, choose a higher wattage bulb. There’s a temptation to skimp when it comes to adding lighting to the back door. After all, it’s most likely facing away from the neighbors, and chances are good that you don’t use it very much. This gives the impression that it’s somehow less important. Don’t fall for that. 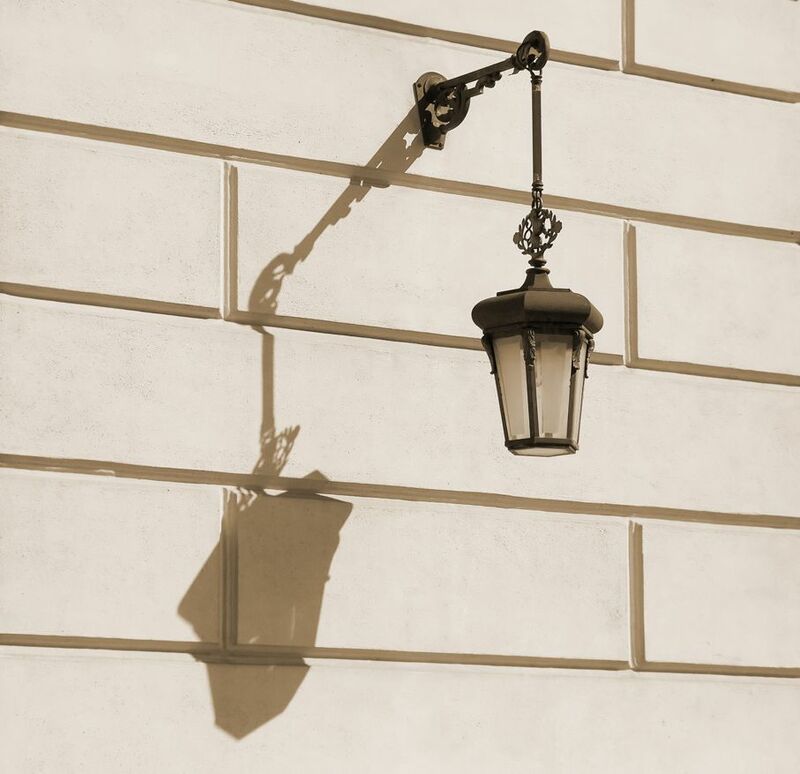 Choose a fixture that ties into the rest of your outdoor lighting design. It needn’t be as large as the lights on the front of the house, but go with the same style and color to create a cohesive whole. 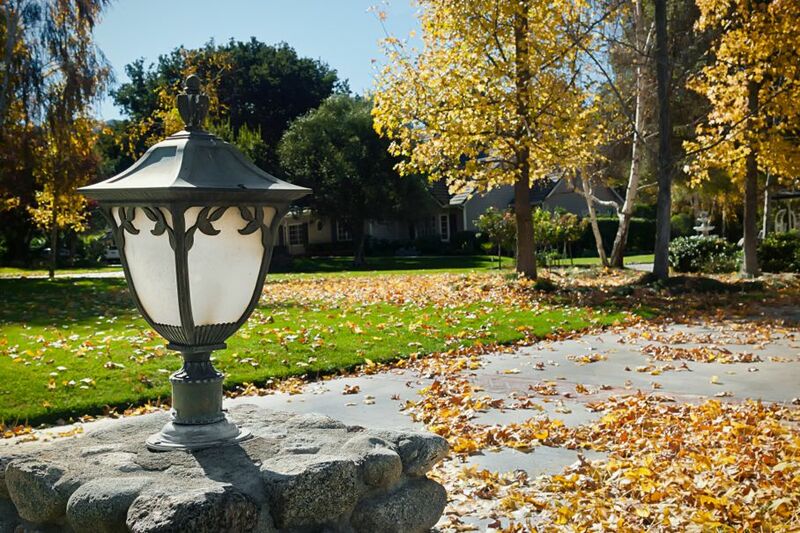 If you’ll be installing post lights to illuminate your driveway or to provide an accent point for your yard, make sure the post is tall enough that it can be installed a minimum of one-foot-deep in the soil. Two feet in the ground is even better. You should also make sure that the size is large enough – remember that light fixtures appear only half their actual size from just 50 feet away. If you’ll be installing accent or access lighting (not actual task lighting), then consider going the solar route. They don’t require you to install any wiring and they can last a surprisingly long time. They’re also zero energy devices. In many areas of the USA, you aren’t free to install whatever type of lighting you might want. Some areas require that you use only Energy Star certified fixtures, while others require that any outdoor lighting be Dark Sky compliant. Check the regulations in your area and then plan accordingly. 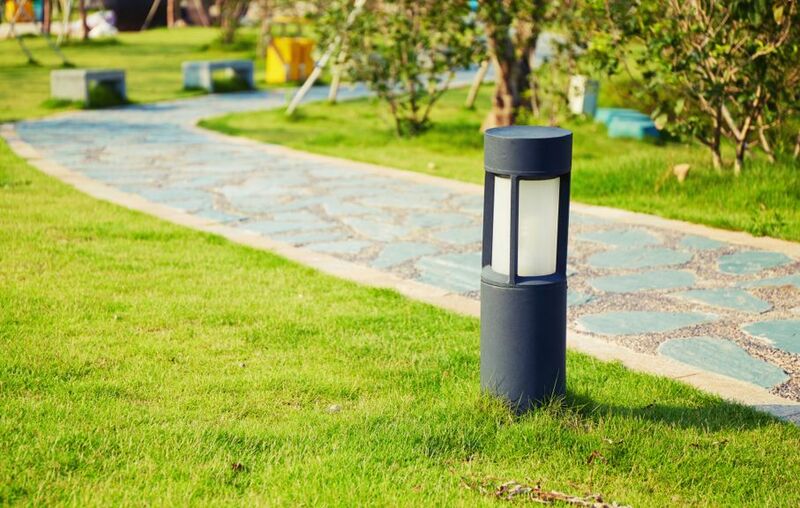 With these tips, you should be able to choose the right type of lighting for any outdoor area.